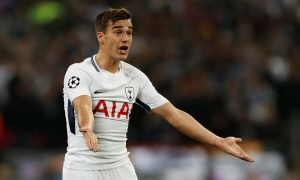 Tottenham's youngsters - a glimpse of hope in the youths? | The Transfer Tavern | Where football transfer rumours fly or die! 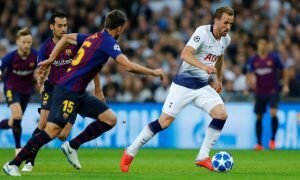 Despite bringing in youngsters such as Ledley Kin gand Aaron Lennon, the Tottenham academy has failed to reproduce big homegrown talents unlike fellow Premier League teams such as Manchester United, Arsenal and Chelsea. But is there a glimmer of hope for Tottenham in the future, with the likes of Townsend, Kane, and Carrol coming through the ranks? In midfield Tottenham’s propsects of Townsend and Carrol look to be very positive. Making appearances in their pre-season tour of America, both players looked sharp on the ball and rarely gave away possession. Even though the standard of football is drastically different from pre-season friendlies to the Premier League, the gradual process of playing in the League cup and possibly UEFA competitions helps to advance the levels of the players. Townsend especially has impressed during his loan spells away from the Lane, with impressive performances for Birmingham and Leeds in the Championship helping new manager Villas-Boas to see the midfielder as a future Premier League star. What about fellow academy player Harry Kane? The 19 year old could be a leading striker in the Premier League in the future. His goalscoring record whilst on loans, and his national record for the under-19 England squad has helped the striker land a loan deal with Norwich for the season, as he aims to build up Premier League experience. Kane joined Millwall on loan from the beginning of the year until the end of the season and appeared 23 times, doing so scoring 8 times. Considering this was his first major stint in first team football, the youngster proved himself in a demanding situation and has even replicated his form for England. In 14 appearances, Kane has scored an impressive 6 times. So with 2 very strong players coming up in their ranks, Tottenham might have a few youngstars in the pipeline, but the modern game wants instant results. Let’s hope our lads get the time and patience to bring them through.